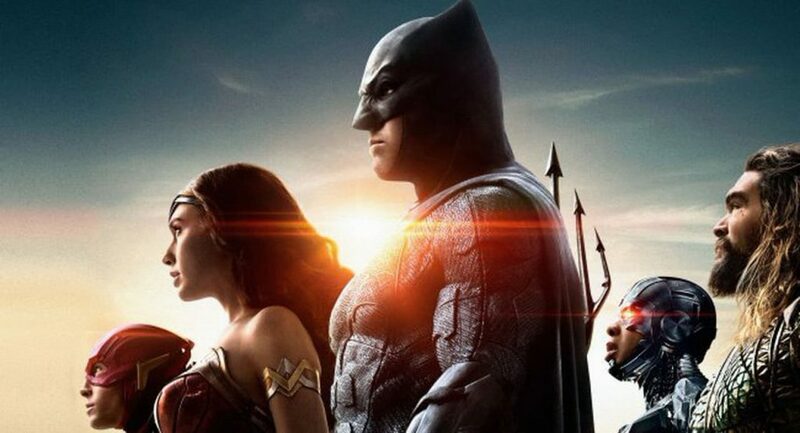 The Justice League finally have their own mega-budget live-action movie, giving DC’s iconic team the chance to shine on the big screen years after Marvel’s The Avengers wowed audiences around the world. Superman, Batman, Wonder Woman, and their (super) friends have all appeared in various video games over the years too, but some more so than others. The Dark Knight’s starred in more tie-ins than you can shake a batarang at, while Superman’s not too far behind his brooding buddy, but the team together have been strangely underused. On top of that, not all of their virtual outings have been quite as powerful as they could have been. That’s not to say they should all be avoided like kryptonite either – quite a few are well worth playing, whether you’re looking for a simplistic scrolling beat-em-up, a 2D fighter, or something a little bit deeper. By far, Justice League Heroes is one of the best video games based entirely around the Justice League. This 2006 release apes 2004’s X-Men Legends to great effect, but it’s more than just a clone. This is a great adventure for the team, featuring an awesome cast of heroes and villains alike, with the action taking place across Gotham, Metropolis, Mars, and numerous other locations fans of the comics might recognise. You get to play as Batman, Superman, Wonder Woman, multiple Green Lanterns, Martian Manhunter, Black Canary, Green Arrow, Hawkgirl, and a few others. Unlike X-Men Legends, which let you build your own teams of four, you’re usually only assigned two heroes per mission, though others are available to unlock. As you progress, you can buy different costumes / variations for your heroes, and upgrade their attributes. It’s the same type of gameplay you’ve seen before, but the storyline is good enough and the visuals still look pretty nice today. Justice League Heroes is definitely worth checking out if you’re a fan, or just feel inspired after watching the movie. Just be sure to go for the PS2 or Xbox version, rather than the DS one – the latter was fine, but lacked a lot of features seen in the other releases. The GBA tie-in to Justice League Heroes is a terrific little game. 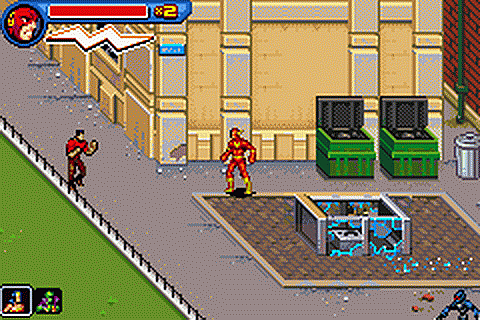 Rather than trying to recreate Justice League Heroes’ team-based dynamics or isometric action on less-advanced hardware, developers WayForward Technologies chose a traditional 2D scrolling beat-em-up based entirely around The Flash instead. First of all, the graphics ooze real old-school charm, with colourful environments, a great mix of enemies, and a nice execution of The Flash’s powers. Wally can zoom from one spot to another in a red-and-yellow blur at the touch of a button, and collects other skills throughout the course of the game. You can slow down time and deliver hits before enemies have a chance to fight back, and call in support from fellow members of the JLA too: Green Arrow, Black Canary, and others will unleash attacks that cause severe damage to opponents, but remain unplayable. Still, this helps to make The Flash feel part of the team, and can get you out of a sticky spot. There’s a nice mini-game too, which sees you race Superman through a number of different locations, avoiding or destroying obstacles as you go. The game’s story is told through comic-book panels, and the overall feel of the game is light and fun. Justice League Heroes: The Flash makes a great companion piece to the main game and works brilliantly in its own right. Injustice for All is a 2002 tie-in to the Justice League animated series, and makes great use of the GBA’s capabilities (just as Justice League Heroes: The Flash would years later). The plot sees the team take on the Injustice Gang, a dark reflection of the heroes, consisting of Lex Luthor, Joker, Solomon Grundy, Cheetah, and other. You get to play as the characters you would expect – Superman, Batman, Wonder Woman, the Flash, Green Lantern, Martian Manhunter, and Hawkgirl. Each has their own abilities, and they interact with their environments in unique ways, like the Flash’s wall-run and Martian Manhunter’s invisibility. The heroes take on missions in pairs, as in Justice League Heroes, and you can switch between them at any time (as one may overcome challenges or solve puzzles better than the other). Injustice for All uses the animated series’ visual style, with simplistic but strong designs, which gives the game a colourful, dynamic look. The Injustice games may implicitly reference the Justice League in their titles, but they revolve around the team entirely, chronicling their struggle to overcome the kind of problems only alternate realities can cause. Injustice: Gods Among Us did a great job of immersing the Justice League in a modern fighting game, adapting the characters’ abilities and personalities for an experience both dark and OTT. Injustice 2 builds on the first game’s style to great effect, adding new features – like the Gear system and the Multiverse mode – and introducing plenty of new characters. 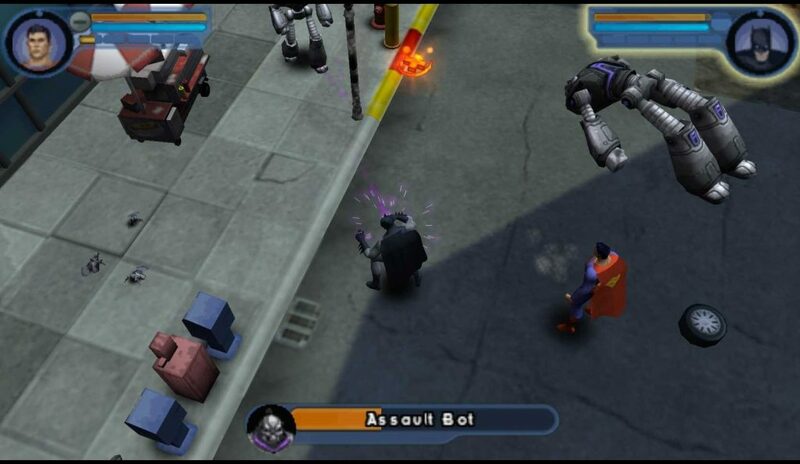 Familiar faces like the Justice League’s main heroes and enemies are available to play as, while newcomers include Blue Beetle, Doctor Fate, Robin, Supergirl, Swamp Thing, and more. Injustice 2 is a deep, challenging fighting game that does real justice (no pun intended) to the material. 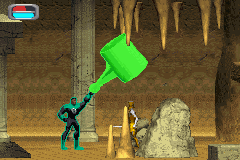 Justice League Task Force is a kind of primitive precursor to the Injustice games. In the 90s, a 2D fighting game was an absolute must for many a self-respecting franchise – the Teenage Mutant Ninja Turtles had one, the X-Men faced off against Street Fighter – and here, the Justice League receive the same treatment. Justice League Task Force wasn’t exactly met with the greatest of acclaim upon release, but it’s a decent enough use of the license. The graphics still hold up nicely today, though things can feel a tad sluggish at times, and the characters fight as they should. The characters look as they did in the comics of the era (Superman even sports the short-lived mullet), and the backgrounds are well-designed. 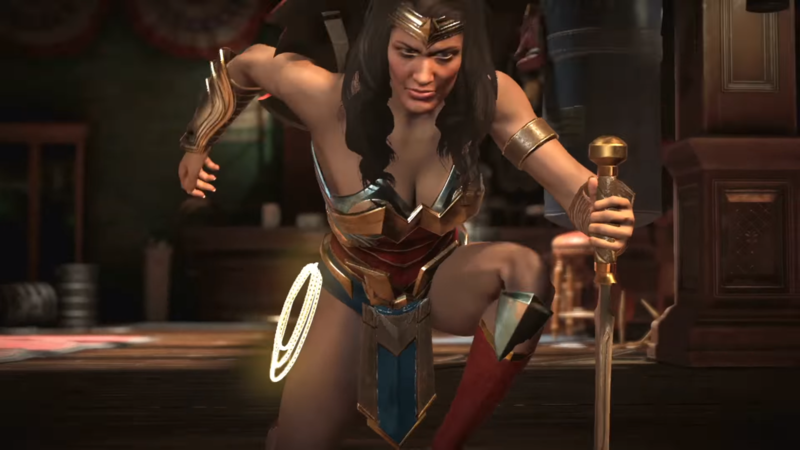 Aquaman’s throne room, Batman’s Gotham City, and Wonder Woman’s Themyscira all bear a slight resemblance to their characters’ environments in Injustice. 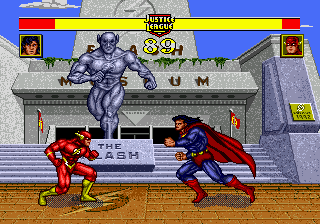 This may not be a classic, but pitting icons like Supes, Batman, The Flash, Wonder Woman, Aquaman, and The Flash against each other in full 90s fighting-game glory is something every fan should try at least once. Have you played any of these Justice League games, and if so, which is your favourite? Let us know!